SHIFTboston recently interviewed Ron Mallis, AICP, founder of BostonAPP/Lab, a “maker’s space” focused on developing new and creative strategies, processes, and collaborations in support of art in Greater Boston’s public places. We met with Ron to find out more about Boston APP/Lab and how it will create more opportunity for public art in Boston. Prior to starting APP/lab, Ron was senior planner and project manager for the firm of Goody Clancy, bringing to his work a strong focus on multi-faceted civic engagement. His experience includes neighborhood planning in, among other cities, San Antonio, Baltimore, Lowell (MA), Savannah, Cambridge, and Washington, DC. He is a member of the Advisory Board of HarborArts (East Boston), and holds a Master in City Planning from MIT, as well as undergraduate and graduate degrees from, respectively, Cornell and Columbia Universities. 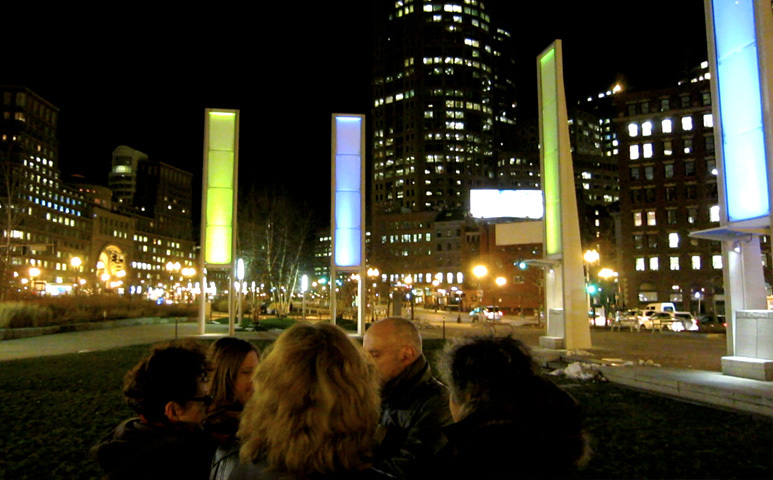 SHIFTboston: What is your favorite public artwork? 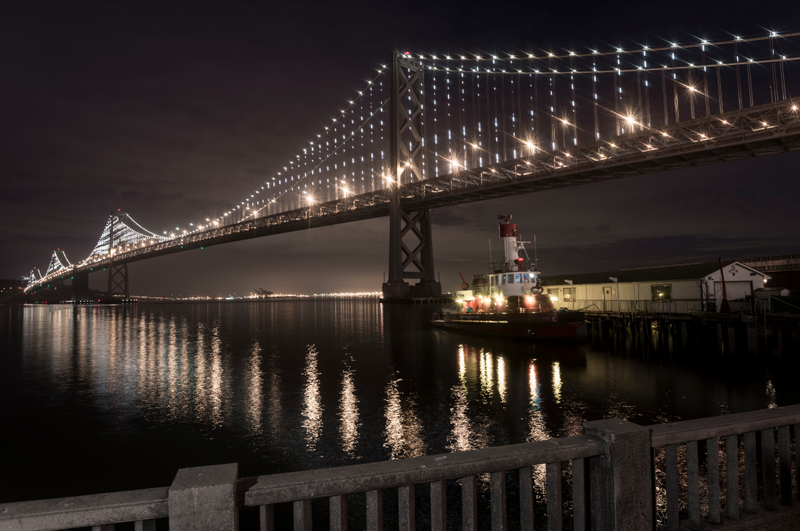 Ron: The Bay Lights project in San Francisco by Leo Villareal. The back story encompasses degrees of collaboration, of deep private-sector support, of imagination, and of a strong belief in possibilities. But also rediscovering a sense of what I’ll call “civic exuberance” — and enlisting the private sector to make that happen. SHIFTboston: You clearly understand what is preventing the public art in Boston — more importantly — you know what we need to make it happen. 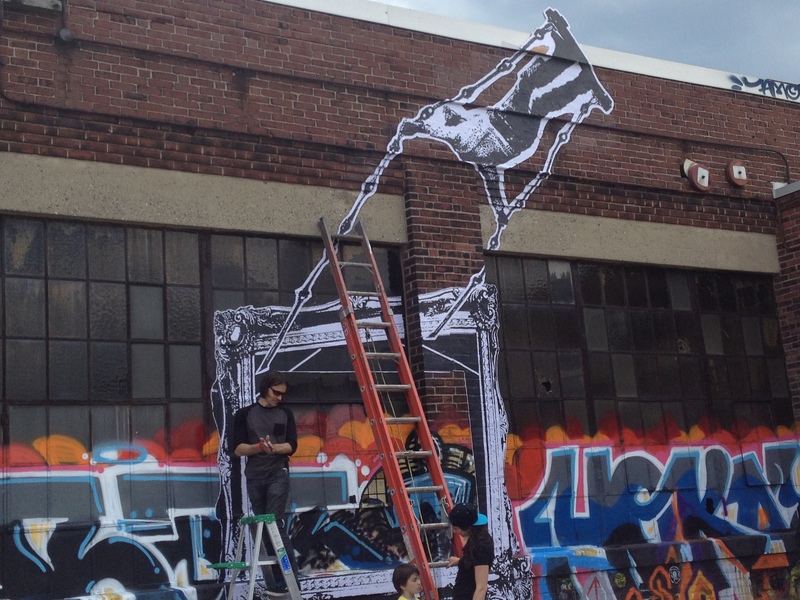 What specific actions are you planning to take in order to make more public art possible? Ron: At a minimum, we’re hoping to set in motion new kinds of collaborations — among artists, among agencies, among municipalities — and have already had some success on that score, on however minimal a scale, but that’s only for starters! We say, in fact, that the Lab is an effort to uncover “new processes, new strategies, and new collaborations.” We also — and this will become increasingly urgent — want to shed some light on the labyrinth that constitutes so much of the permitting adventure. Our next session (scheduled for June 27) is, in fact, going to be taking that up. And finally, we need to figure out ways to involve the private sector much more actively. My sense is that there’s an over-developed commitment to territoriality in this town — and I’m reminded constantly of a fundamentally important question/charge articulated by Carol Coletta, who was head of ArtPlace America: “what can we do together that we can’t do separately?” Maybe the answer is “nothing,” tho’ I doubt it. And if it’s “something,” how do we figure out what that “something” is. SHIFTboston: How can (and should) young designers become “civically engaged” and get involved promoting public art in the city? Ron: The one ingredient in “knowing the city” is getting involved with the neighborhood in which one lives and really trying to get under the skin of the place. At a somewhat larger scale: a bunch of years ago, I got on the Orange Line and arbitrarily got off at a mysterious stop I’d never heard of. I wandered around as if I were a tourist — which in fact I was, except I was in my own city. I do think that only by getting to observe, know, and interact with a place — the people who live there, who work there, who pass through there — can anyone make any rational judgment or proposal about “public art,” or — as I prefer to call it — art in public places, and the interactions among the public, the place, and the art. SHIFTboston: Do you think there’s a collaboration that could happen between academia and industry to promote design exploration through public artwork? Maybe something like the temporary installations design students at MIT are doing? Ron: Something I think is similar is the graffiti “expo” underway at the Bartlett Yards site in Roxbury – bartlettevents.org. See photo below. Its definitely worth checking out. But to reiterate something I say elsewhere, there’s a bigger issue, I think, having to do with a more explicit involvement by the private sector in making not just their lobbies but the surrounding environment as lively, as exciting, and as publicly engaging as possible. And that’s a job for all of us to undertake. SHIFTboston:If you could change 1 physical thing about the Boston urban environment…ANYTHING…what would it be?